Since then, Mann has pursued a rich and diverse career. He has recorded extensively and performed everywhere from the orchestra pits of Broadway to festivals, clubs and concert stages worldwide. He has recorded extensively and schooled countless guitarists through his many books and DVDs. Acknowledging his artistry, the famed C.F. Martin guitar company released the “Woody Mann” signature model guitar.Woody is presently a visiting artist at Berklee College of Music in Boston, Massachusetts. Perhaps their jazz mentors Lennie Tristano and Connie Crothers gave them a shared sensibility and a common musical platform to jump off from. 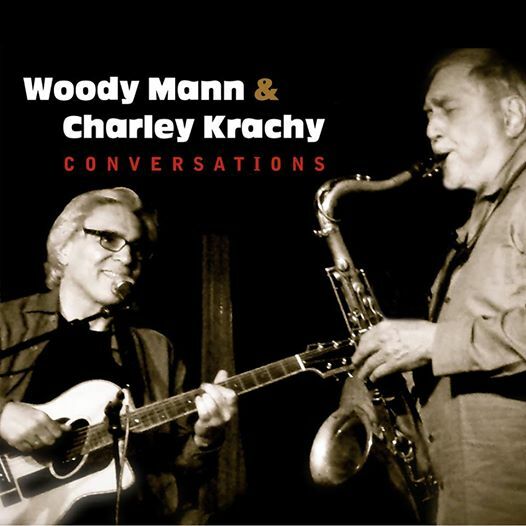 Together, The Mann/ Krachy duo delivers a unique blend of styles in an improvised conversation between two veteran masters, and a spontaneous communication with each other – and with you. Guitarist Woody Mann and saxophonist Charley Krachy couldn’t stop swinging even if big hairy guys put guns to their heads and demanded it. They probably swing in their sleep. Conversations will have you tapping your foot, snapping your fingers, and soaking up its warm bluesy tones. Mann spent four years studying with blues guitarist the Reverend Gary Davis, followed by five years of improvisational studies with Lennie Tristano. Along the way, he got himself a B.A. and pursued postgrad studies at Juilliard. He draws on a variety of genres in his playing, with influences that range blues and jazz to classical and flamenco. Krachy’s primary musical education came from Benny Goodman, Louis Armstrong, and Lester Young, courtesy of a big Stromberg-Carlson gramophone. He’s never forgotten those lessons in musical storytelling and the blues. He extended his studies with saxophonist Lenny Popkin and pianists Kazzrie Jaxen and Connie Crothers. 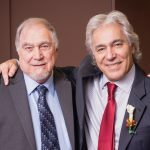 Mann and Krachy have been playing together for decades, and you can hear it. They pick up on one another’s lines like old friends sharing a story. They’ve honed their delivery over the years, too, making efficient use of every note. But it’s not rote storytelling by any means: they are always open to surprising themselves, and you can hear them pick up each other’s unexpected melodic wrinkles with delight—and run with them. Their album opener, the Jule Styne standard “It’s You or No One,” opens the highlight reel, and they get right to swinging, with Mann walking behind Krachy’s flowing lines. It’s two guys riding the same roller-coaster. They counter with a deeply elegant blues on Basie’s “Pound Cake,” with Mann as nimble as Krachy is warm. On Lee Konitz’s “Subconscious-Lee,” they roam the labyrinth together; listen to Mann opening things up with some lovely chording around the three-minute mark. Konitz’s “Kary’s Trance” features lovely, long unison lines and counterpoint, with Krachy “plucking” the sax like a guitar. The original and spontaneously improvised “Blues Bounce” gets a nice intro from Mann before the two of them unwind an optimistic blues in counterpoint. They provide an enlivening reverie with Cole Porter’s “You Be So Nice to Come Home To” and close the proceedings with Mann’s “A Night in Tbilisi,” which underscores the Eastern Europe influences in flamenco. 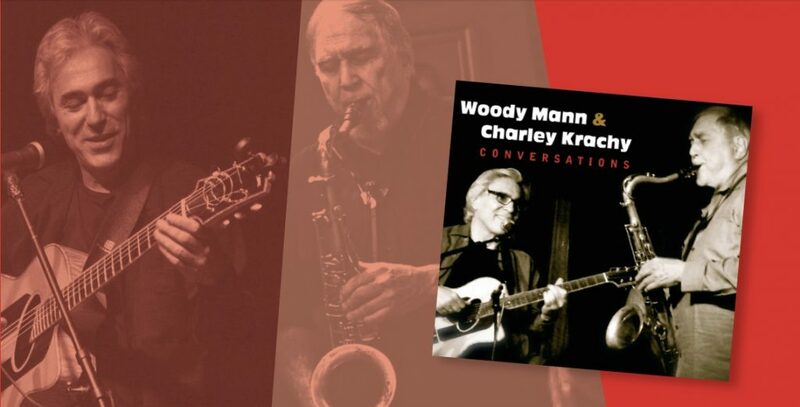 The varied program, the nuanced and elegant playing, the endless improvisational inspiration, and the human warmth of these two masters make Conversations a deeply satisfying excursion. © 2017 Mel Minter. All rights reserved.